If you’ve ever tried your hand at making an infographic, chances are you’ve run into Piktochart as an option. But what about Piktochart for flyers? I wanted to share promotional materials I’ve created using the Piktochart site (it was easiest to combine them with pdfs but let me know if that is a problem). I subscribe to the $40/year “pro” version which includes many more templates than the free version. I have attached 3 documents with 2 flyers on each for: workshops help in the library, poetry readings in our Special Collections dept, and a stress relief table provided during finals week. All of the images were used to promote on social media, and the stress relief flyers were printed out (about 22 by 28 inches) to display near the table. Icons and pictures used were either from the Piktochart options or from Pixabay.com. I have also used Piktochart for infographics and images that I’ve put on libguides. I’ve found that Piktochart has improved a lot since I started using it in early 2016 – and allows for using their designs or easily adapting to your own. One thing that is stands out about Emily’s designs is the use of the library logo colors in a way that’s attention grabbing without being overstated. I’m also a big fan of the stress-inducing mess behind “Are You Stressed?” in the second flyer. Emily also mentions the use of Pixabay.com, which is a fantastic resource for free images that are CC0, meaning free for commercial use & no attribution required. You can create an account for free and it even gives you the option to donate some money to the original artist if you’re so inclined. All of Emily’s submitted flyers are available on our Google Drive. All submitted work will be published on this site under a Creative Commons Attribution-NonCommercial-ShareAlike 3.0 Unported license. All work was created by me using Photoshop CS6. I always get some emails from people saying how much they like them. I really love creating the fliers, it is very different from the other work I do and it allows me to flex some creative muscle. I always use Photoshop. I have tried using some other programs but they don’t give me the flexibility Photoshop does. There are a lot of commonalities between libraries and breweries. We both want to provide for the public; we have products people need; we are both experiencing a surge in popularity…oh, who am I kidding? This post is about librarians who like to drink beer. Have You Heard About ACRL_LMAO? 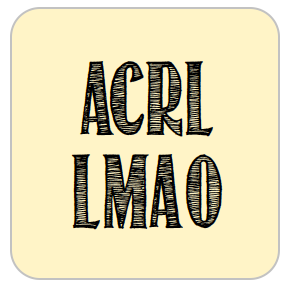 Have you heard about ACRL_LMAO? There’s a new Library Marketing and Outreach Interest Group in ACRL spearheaded by Virginia Alexander and Adam Haigh that’s all about sharing successes, failures, ideas and questions related to outreach and marketing efforts in academic libraries. Some fantastic conversations are already happening, and I’m eager to find out what else this group is up to in the next few months. If your stacks are anything like ours then unused advertising space abounds. Our shelf end-caps have small signs with call number ranges on them and not much else. 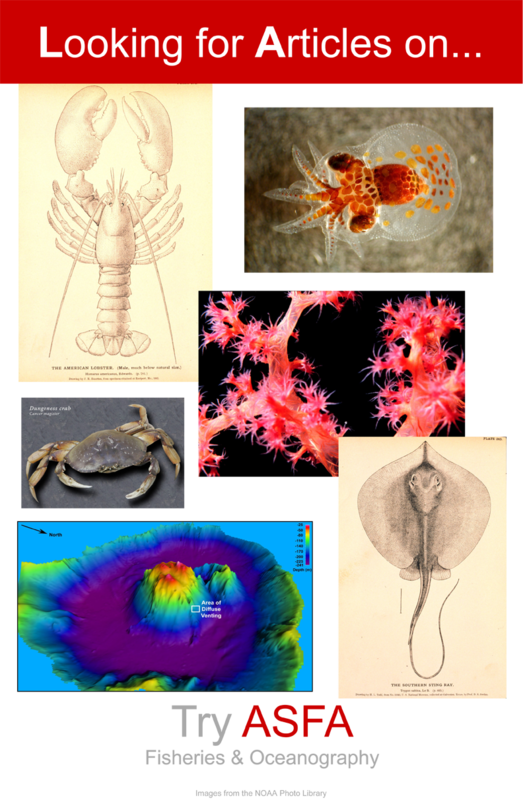 Theresa Mudrock and her colleagues at the University of Washington Libraries are “experimenting with posters in the stacks to highlight specific databases, subject guides and subject librarians.” It sounds like a fantastic use of dead space. 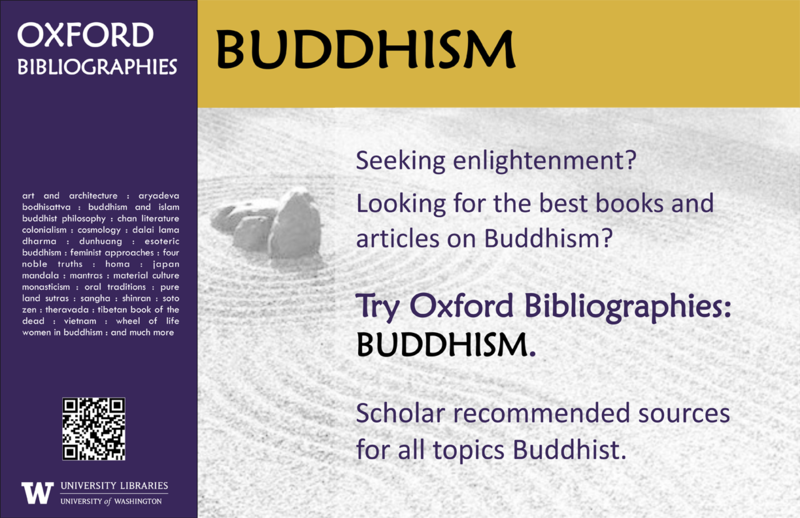 This poster, created on MS Publisher, promotes our newly acquired module of Oxford Bibliographies. Similar posters were made for other modules including Hinduism, Political Science, etc. The posters were placed in the book stacks in the call number areas for the subject. It’s a simple but effective marketing technique. Users are already looking for books in a particular subject area, so why not point them to other helpful resources? 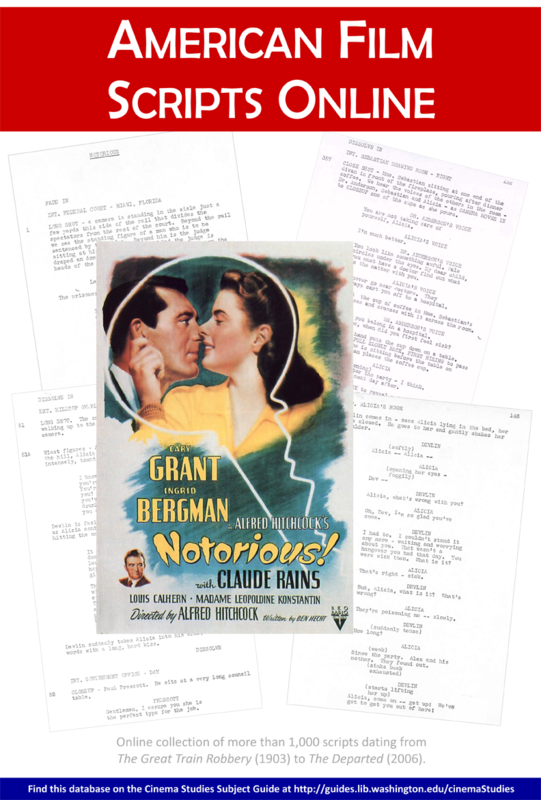 For the original Publisher files of these posters, email Theresa Mudrock.